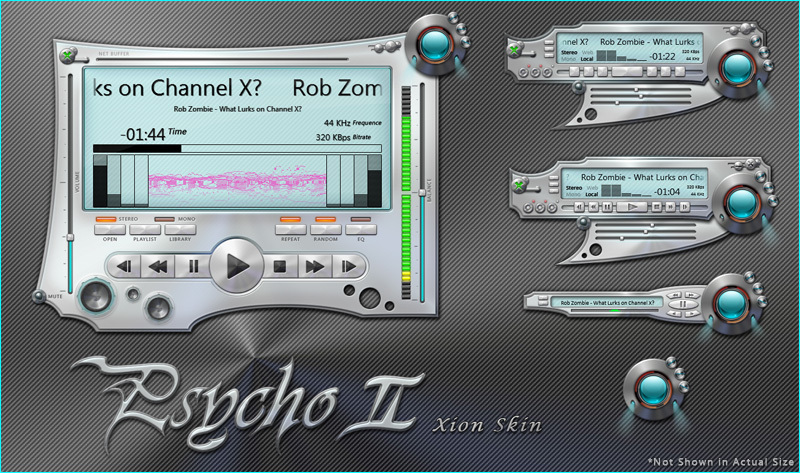 OK so I haven't submitted anything in like 2 years and this is the first and just an addition to a skin I did long ago (just look for Psycho II, though that stuff isn't ''up-to-date''). Anyway, the skin has 4 states and looks nice even as a stand-alone. If you would like to send me a comment personally and get back a quicker reply then send me a message via Facebook (Shawn Kaschafsky). Very nice looking skin SKoriginals. Is there any chance you might consider updating the WB? Shawn great to see you again !! Nice work dude!!!! That's okay SKoriginals, nice to see you uploading again. The WB skin looks superb as is. I'm using it right now on W7 and is absolutely perfect. Only the expander feature on start menu does work, but I don't care. It's a perfect design. Phil, It's good seeing Shawn again, isn't it! Nice to see your style once again, whatever your reasons are. Wow! What a treat, just to see something new by you. Aside from that, it's a thorough piece of work. I hope that you will be inspired to do some more. just wanted to let you know that your original psycho's wb (4.6 and 5) are my favorite wb of all time, and still work great on wb 8. I have used it on every computer I have owned since 2006. thanks for all your hard work.